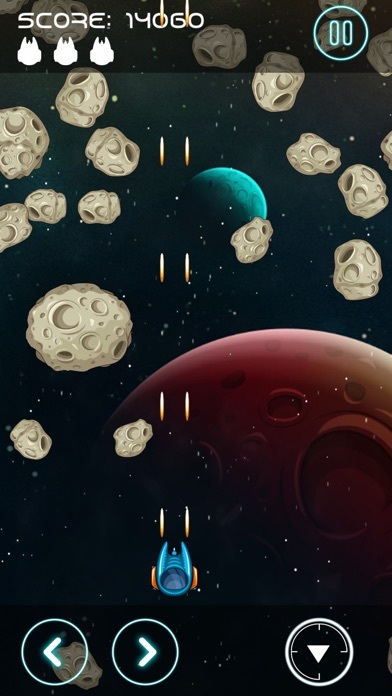 Intergalactic war! 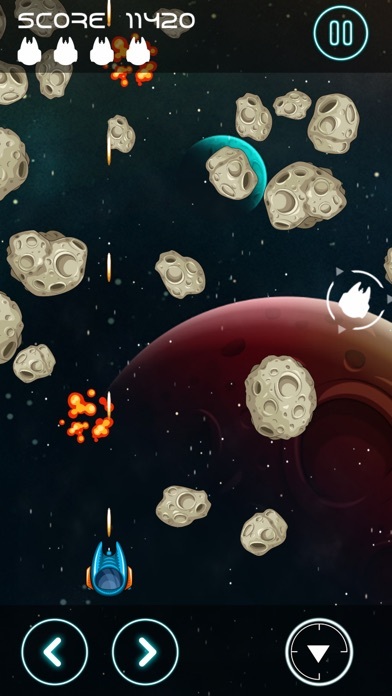 You're on the run from the evil Kandu Army, and must make it safely through the Merrion Asteroid Belt to reach your home planet. 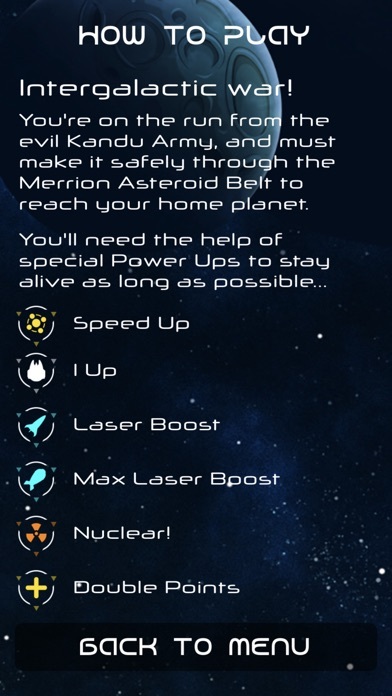 You'll need the help of special Power Ups to stay alive as long as possible. 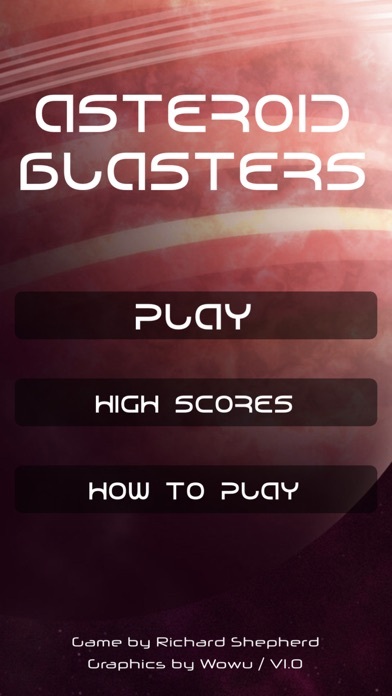 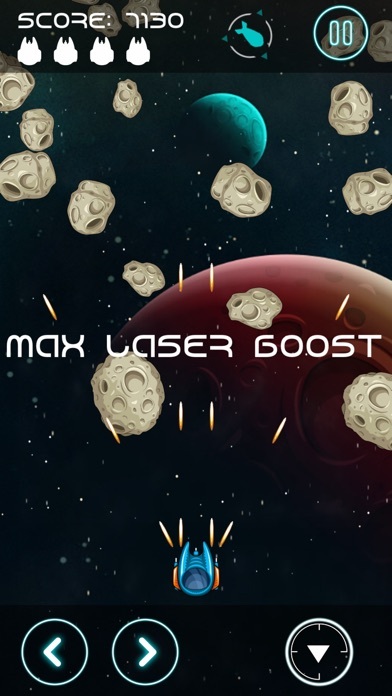 Fast-paced old-school action, in this non-stop shoot em up!